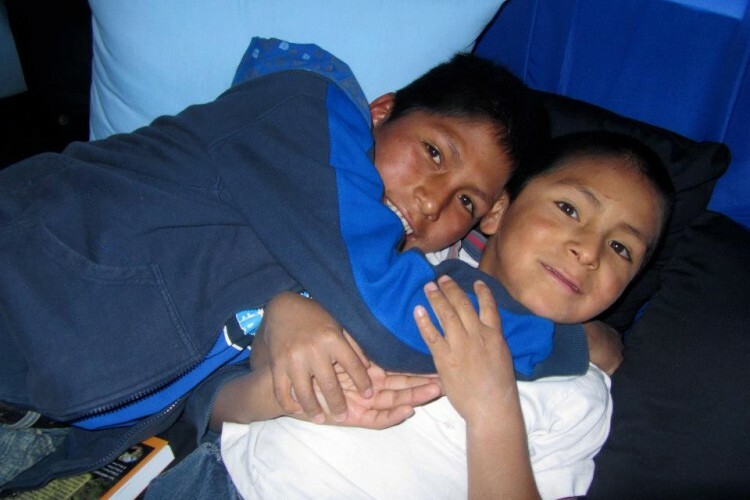 The Blue House, or Azul Wasi as it is called in Quechua, is a project that we have been supporting at St Andrew’s since June 2006, helping to create and support a home for street children in Cusco, Peru. 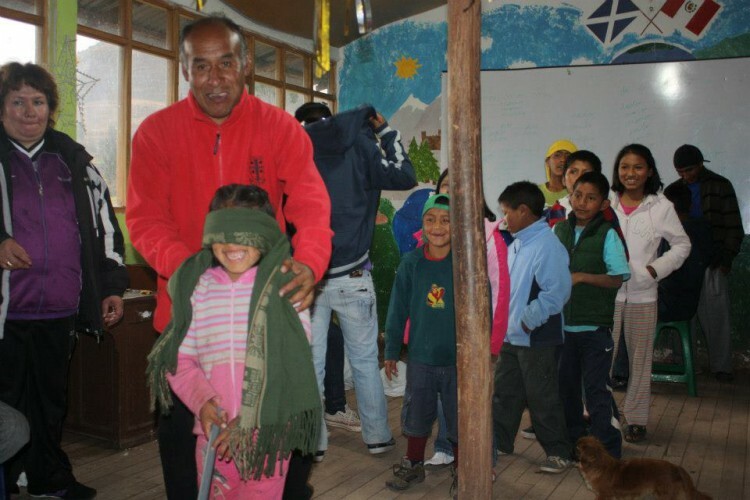 The project started as a dream of Alcides, a policeman from Cusco who had spent many years working with vulnerable children in the city. He wanted to build a home where some of these children could grow up feeling secure and happy and learn the skills they need to stand a better chance of being employed and not living a life on the streets. In 2005, Mary and Chris Pountain’s daughter, Fran Talavera, was living in Peru for a year and worked with Alcides to get the project started. St Andrew’s has helped the project grow from a field to a happy family home for up to 20 young children. It was really exciting when we phoned Alcides just before Christmas in 2007 to hear the sounds of excited children celebrating the opening of Azul Wasi as the home for the first seven children who had just moved in. There are currently 20 children living there, 18 boys and the three daughters of Anastasia, the cook, and they all attend the village school. At Azul Wasi, they live as a family and are learning the basic skills for living, helping with the cooking and washing and looking after the animals. When the first children arrived they were very withdrawn, insecure and had poor levels in reading and writing. They had to adjust to a completely new situation and living together as a new family. 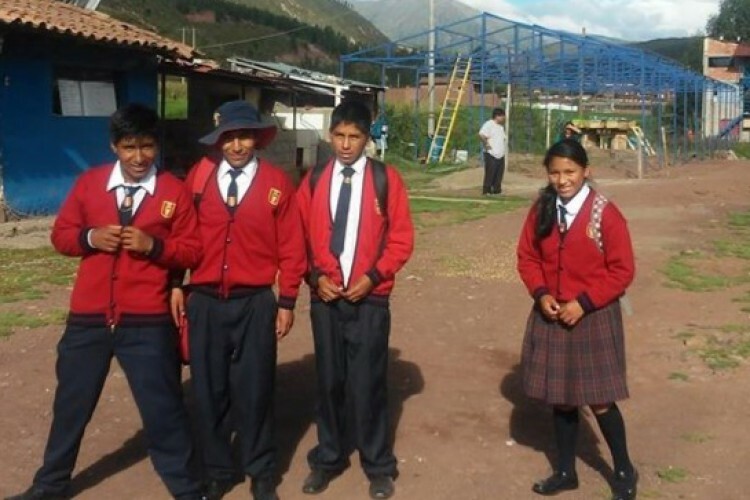 Some children only speak Quechua when they arrive and have to learn Spanish. 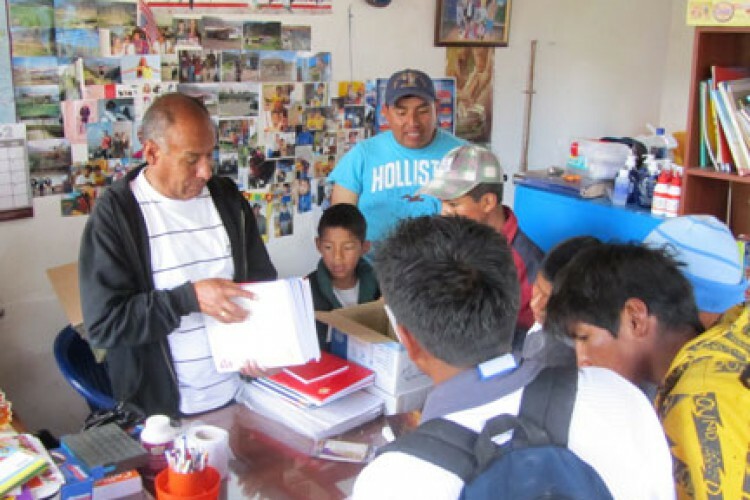 Often the children arrive without any birth certificate or ID and Alcides has to work with the authorities to get their ID issue sorted out before they can start to go to school. Azul Wasi has had its ups and downs but the children are very happy there and are making great progress. The children continue to work hard at school and with their homework. They are doing well, both academically and in sport – many of them are keen footballers, and several of the children have come at the top of their classes. One of the older boys was the Head Boy at the school. 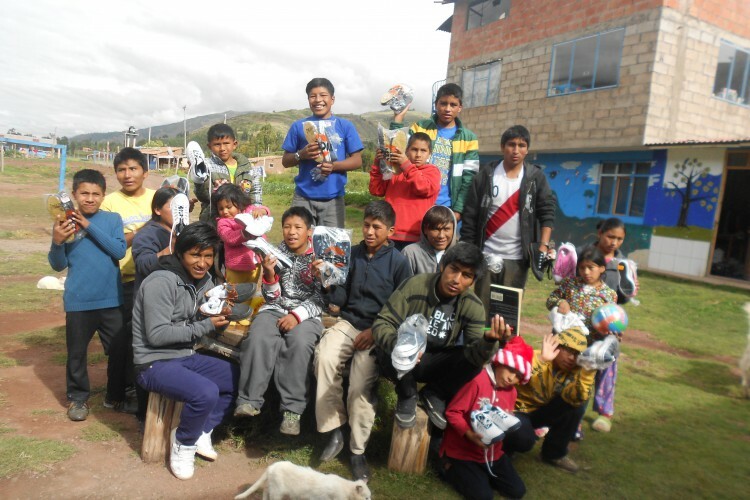 Azul Wasi is certainly making a big difference to their lives and giving them real opportunities for the future. The children take part in a programme of training in various skills so that they can have a better chance of getting a job when they leave the house. They have taken part in training workshops in a variety of areas – e.g. how to make and use compost, bread-making, creating a CV, IT skills etc. 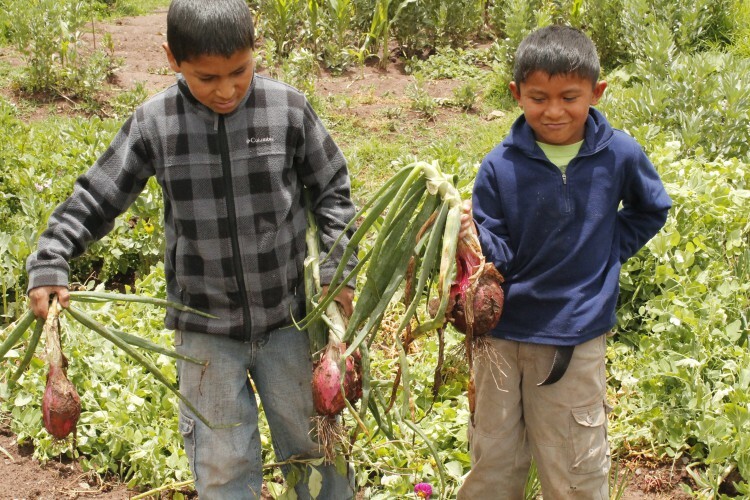 Six of the children took a year-long cookery course at a gastronomy training centre, Inca Educa. 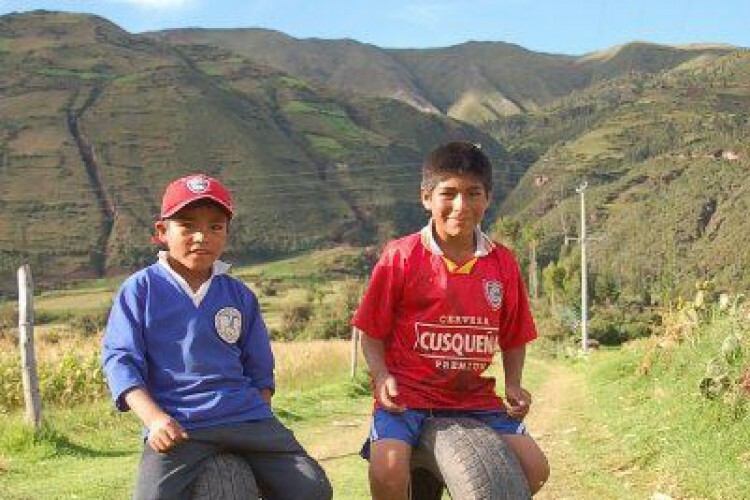 These opportunities have been funded by LAFF (Latin American Foundation for the Future), a UK charity with a member of staff based in Cusco who, like us, have been long-time supporters of Azul Wasi. 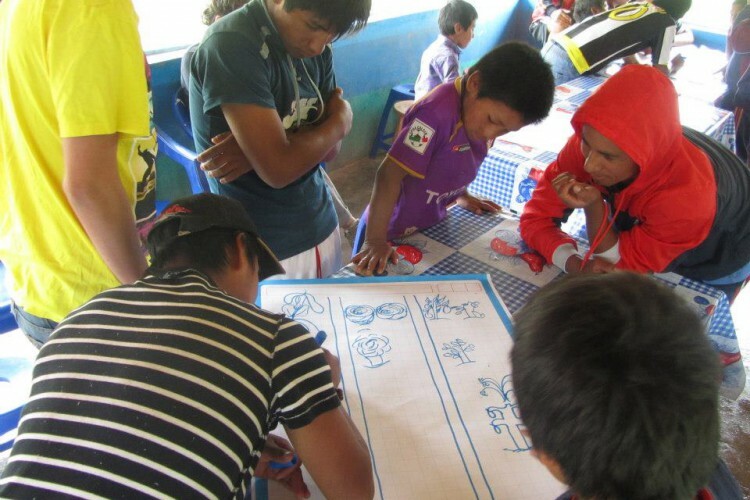 Some of the older boys have now left and are leading independent lives, using the education and the training they have received at Azul Wasi. One of the boys began studying at university. He worked very hard to get into the University, and it was a great achievement for him to get a place, but sadly, because there have been so many strikes by the teaching staff (not at all uncommon in Peru) his education there has been disrupted and he has now decided to retrain in hotel administration at Cenfotur, the centre for training in tourism in Cusco. This year five of the older ones have been accepted to the governmental programme “Jóvenes Productivos” – a programme that seeks to give employment to young people by offering a 2-month course in gastronomy at Cenfotur, who will then help them to find a job. It is not always easy for them to move on, but they have ambition and Azul Wasi will always be their family. They are given continued support and mentoring by the LAFF team to help them adjust to independent living and working. New buildings are built when money becomes available. The new brick-built dormitories protect them better from the cold winds and rain, and the new dining room is a great improvement. Their current project is the building of a new block for the toilets and showers. The fruit trees which were planted right at the beginning are flourishing and the boys all help to grow crops of maize, potatoes and other vegetables. The original greenhouse blew down in high winds but a larger, more solid greenhouse is up and running. They started growing flowers to supply to Arte Floral – a social enterprise at Casa Mantay which is another organisation that LAFF supports, but finding the right types of plants that will flourish has been challenging. There are a lot of animals at Azul Wasi, which the children help to care for, including dogs, cats, chickens and ducks and geese, as well as their friendly parrot called Laura. They were breeding guinea pigs to sell, but it turned out that the profit margins were not great enough to be worthwhile continuing on that scale as a commercial venture. However they have decided to keep the guinea pigs, as the children enjoy looking after them and it helps them to have the responsibility for caring for them. Chris and Mary were really pleased to have been able to visit Azul Wasi in August 2018, and to meet with Alcides as well as Marcella, the LAFF representative in Cusco. 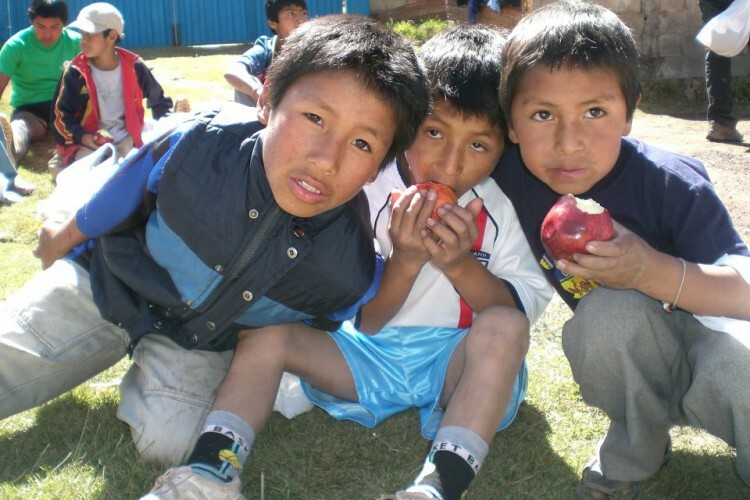 The Autumn Newsletter 2018 contains news of their visit and of some of the boys who have now left Azul Wasi to find work and lead independent lives. You can read more about LAFF’s other projects on the LAFF website and the LAFF Facebook page. The people of St Andrew’s Church first became involved in raising money for Azul Wasi in June 2006 after a presentation to the congregation at one of the church’s regular Gift Days. The congregation of St Andrew’s has continued to support the project enthusiastically through individual donations and various fundraising events at the church. The PCC supports the project with an annual donation of £1,000 and altogether the money raised so far has amounted to nearly £100,000. Initially St Andrew’s raised money towards the building and setting up of the project, but in January 2009, we decided to send a regular monthly sum from St Andrew’s specifically towards the food. We have just raised our monthly donation to £775 per month which amounts to £9,300 for the year. We have not set up a UK charity for Azul Wasi as we are able to send our donations via the UK charity LAFF. Our monthly contribution is sent to LAFF and once we have received and checked the receipts for the previous month’s food purchases, LAFF then send our contribution to Azul Wasi along with their own contribution. We are very fortunate that LAFF pays the bank charges and, as we have no costs to recover, every single penny that we raise goes directly to Azul Wasi to provide the food for the children and staff. A number of people have committed to making a regular monthly or quarterly donation. Having these regular monthly donations – however small – is really helping towards the sustainability of the project. 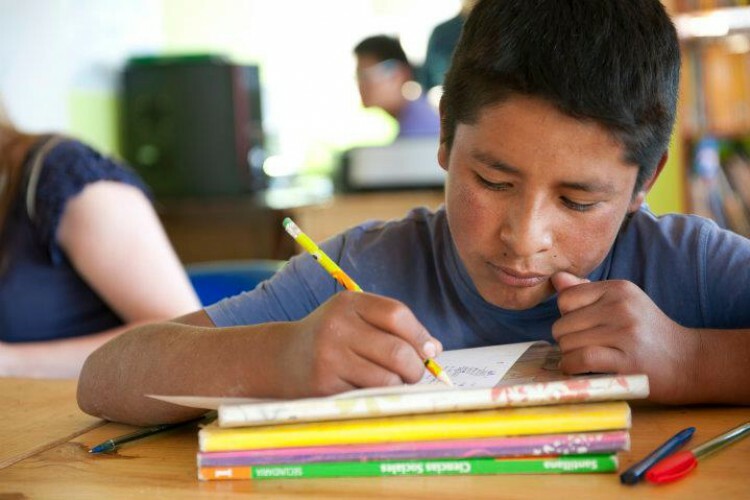 Knowing that we can rely on these donations and not simply on organising fundraising events helps us to feel confident that we can continue to support the children at Azul Wasi. Our fundraising events have included sponsored cycle rides and walks, beetle drives, pudding and wine evenings, concerts, talent evenings etc. The St Andrew’s bell ringers often kindly donate the money that they receive from visiting bell ringers. We are always open to suggestions! Members of the Pountain family have visited Azul Wasi on various occasions: in August 2006, August 2007 and again in October 2011. In August 2018 Mary and Chris spent a day at Azul Wasi. It was wonderful to be able to meet the children and to speak with Alcides and the representative and some volunteers from LAFF. In 2010, the granddaughter of a member of the congregation of St Andrew’s spent a month there as a volunteer, helping the boys with their schoolwork, and painting the outside of the house, and in the summer of 2012 the Peyton Jones family visited. With regular updates to the congregation and a variety of fundraising events, the momentum to support this project has continued. It has been wonderful for us at St Andrew’s Church to have been involved right from the start in helping Alcides to develop Azul Wasi and to be a part of this project which is making a real difference to the lives of the children who live there. Please continue to pray for this project: for Alcides, for those who look after the children and for the children whose home this is. If you would like to know more about the project, or would like to help organise a fundraising event, please contact Chris or Mary Pountain (details below). Donations for Azul Wasi can be made to St Andrew’s Church and given to a sidesperson, a member of the clergy team or to a churchwarden or sent by post to Mary Pountain (address below). Cheques should be made payable to St Andrew’s Church, Chesterton. Please make sure that the donation is clearly marked for Azul Wasi. Having regular income towards the funding we provide for food costs is greatly appreciated and helps us to be able to commit to supporting the project in the future and not to have to rely simply on fundraising events. It also gives Alcides confidence, knowing that the money is coming in regularly. If you would like to make a regular contribution to Azul Wasi by Standing Order, please download the Banker’s Order form or speak to the Church Administrator or Mary. If you are a UK taxpayer and would like us to claim the Gift Aid on your donation, this will add an extra 25% to your donation at no cost to yourself. If you would like to Gift Aid a donation, please put it in one of the white envelopes which are in the pews (you will need to complete the form on the envelope and label it Azul Wasi or Blue House). Alternatively, you can download the Gift Aid form or ask us for a copy.